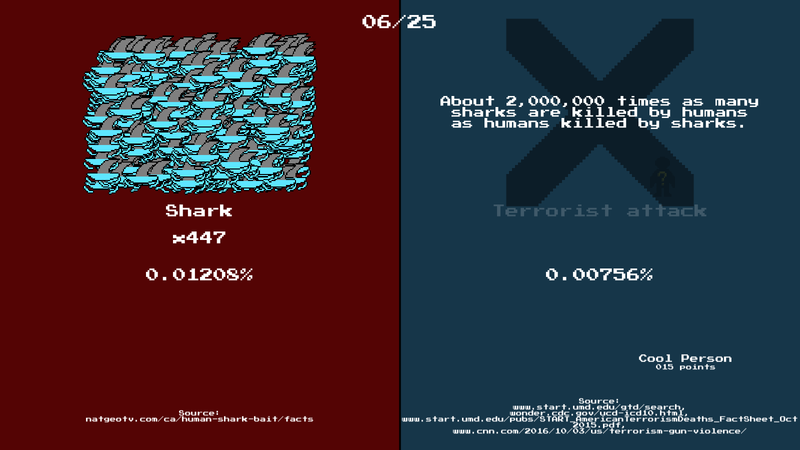 A multiplayer trivia game made for #ResistJam. 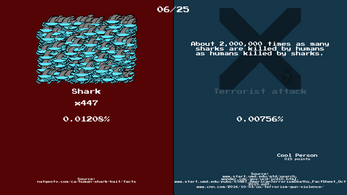 Players choose which of a series of causes of death is more common in the US, ranging from acts of terrorism to pajama fires. Dead Wrong aims to get its players more comfortable with viewing causes of death with objectivity, the goal being to subtly push players to regard death by terrorism as much less likely than they might think it is. 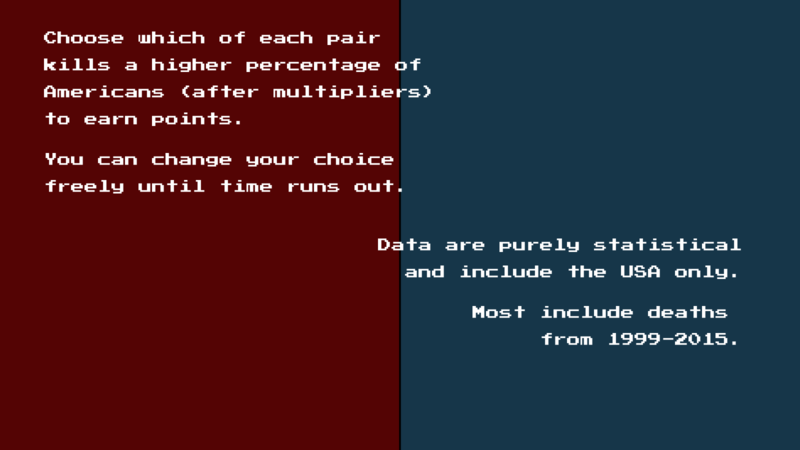 Sources for each statistic are provided in-game. 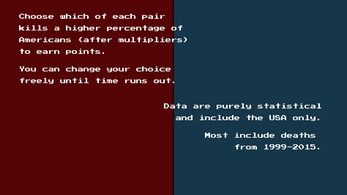 Uses HappyFunTimes for multiplayer on mobile devices. 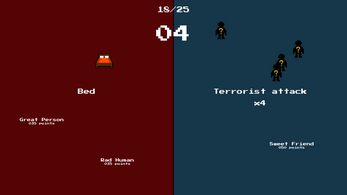 Tested on Windows, and it should run on Mac and Linux as well...Each player needs a mobile device as well. Please feel free to use for education or for anything else that will make the world better!